We were delighted to be invited to work on the new promo trail for Wimbledon 2018 by McCann Craft. 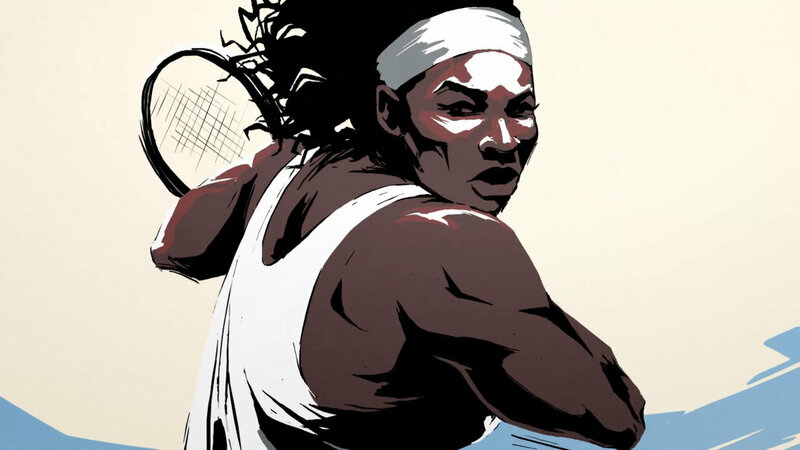 Together with Smith & Foulkes (who we had recently worked with on the BBC Winter Olympics trail), they were taking on an incredibly ambitious animated trail that changed illustration style as we moved through the ages of tennis. We were initially asked to look at existing tracks that could help push the modern feel of the trail, and not play to the stereotypes you might expect of Wimbledon - for example strawberries, Pimms and jazz or classical music. There were some tracks that worked really well and were quite electronic and upbeat, but overall the agency and client decided that they still needed that element of class within the track, whilst still pushing the boundaries of expectations. So we started working on a composition brief with the agency, which we then worked on with our writing teams to try and bring the agency's vision to life. Dave Connolly's "Take On History", as we have now called it, was a strong contender immediately. It hit alot of the key transitions, building all the time - to reach epic proportions about 3/4 of the way through. The hairs on our necks stood up, and we knew this was going to be a tough track for anyone to beat. Dave's use of electronic, orchestral and operatic elements combined to create the perfect sonic palette for the stunning visuals. With animation you are often working to very rough wire frame, or animatic stage work - and so it can be hard to find the sync point that is scripted, or realise the potential that the images will fulfill. As the project developed, and our track with it - it was clear to everyone we had the winning combination on our hands. The trail will be broadcast all over the world by Wimbledon's official broadcasting partners. The agency and directors were a delight to work with, and we were very grateful to be given this opportunity.